Fashion editor, Emily Stamp, writes on the perfect grown-up treasure hunt: the charity store. From vintage clothes to the latest high fashion, hunting both your local area and others can result in bargains. It’s also much better for the environment than throwing clothes away, so it’s a double win- style + sustainability. The charity store is the epitome of fun recycling- from movie montages of girls trying on retro fashions (see the movie Wild Child for reference), to dropping off old unwanted clothes which are still usable. The hunt for that perfect something in a charity store is akin to an adult treasure hunt (not that you can’t charity store shop as a child!). There are techniques to charity store shopping- head to high end areas and your stores are more likely to hold designer wear which, whilst more expensive than the average charity store, is still a fraction of the original price. Equally you could head to purpose vintage stores or areas populated with the ‘older’ generation to find vintage and retro delights. What’s charity more stores often sell everything from household objects (incidentally being the perfect place to buy tea sets), to bags, shoes and books. 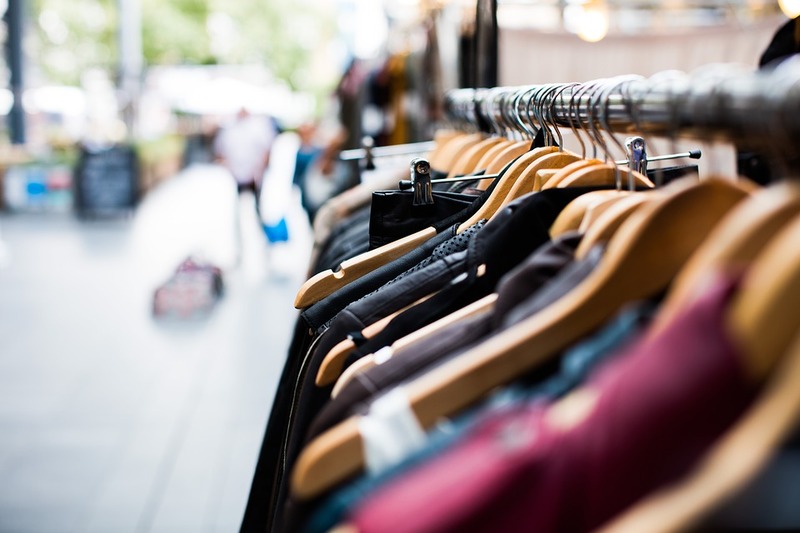 Whilst charity stores may not be best when looking for something specific, they often open up new avenues and ideas, with clothes you may never have seen before. Even if you are wary of the ‘old people smell’ that some clothes in charity shops seem to hold, remember you just need to pop them in the washing machine with your favourite smelling detergent. If you live in a university town and are an academic of some sorts look there for textbooks or books of interest, or just pick up a book at a discounted price. If you need a bag for one specific event maybe get it in a charity shop and take it straight back after, that way you have got what you need for a fraction for the price, but you don’t need to hang onto it if you don’t need to. This works especially well if you have lots of events in a short period of time, but not the budget to buy something new for all of them. Equally if you are living in a minimalist lifestyle doing this can keep your wardrobe minimal but updated by swapping in one item for another. Finding items in a charity store is like winning the jackpot- you can pick up a ball gown you didn’t realise you needed, or a great pair of jeans after looking on the high street for ages. Equally you can walk out with absolutely nothing after 10 stores- but the trick is to keep hunting and maybe you will strike gold! Moreover with the current mass overproduction of clothes donating no longer loved items to a charity store is often far better than taking them back into the original store, especially as journalists have uncovered that some high street brands just burn the ‘recycled’ stock. Charity store shopping is a reminder that there is nothing wrong with switching up your wardrobe on a budget, and it is possible! Plus and it is far better to send an item it to a new home than to throw it in the bin. If you can’t find a charity store maybe think of donating to a charity that provides relief aid or clothing to refugees, again re-purposing an item that maybe just doesn’t fit but is otherwise perfectly functional. So go forth, hunt around charity shops, and good luck in your search.